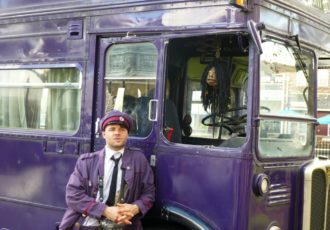 Step inside the famous Diagon Alley pub and fill up on traditional British food including cottage pie, fish and chips, and bangers and mash. And of course, you can enjoy a frothy Butterbeer. 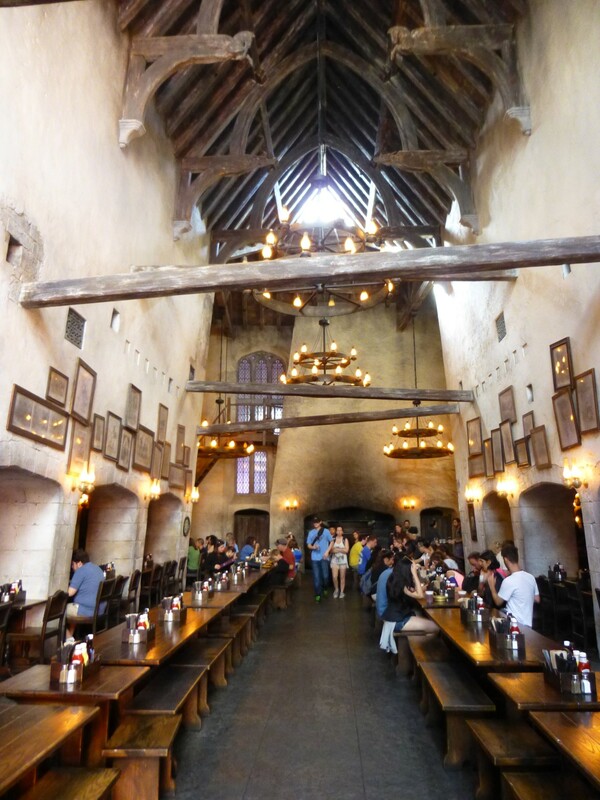 The main restaurant of Diagon Alley, the Leaky Cauldron offers hearty British pub fare including several authentic favorites like fish and chips, bangers and mash, Scotch eggs, stew, and more. Wash your meal down with a cool Butterbeer (or an actual beer,) but keep in mind that this dining location does not offer traditional soft drinks. See drink menu below. In addition to lunch and dinner, you can have breakfast here. Reservations for breakfast can be made through your travel agent or at the desk of an on-site hotel. Walk ins are also usually available for breakfast as well. Reservations cannot be made for lunch or dinner. The breakfast options are not the strongest of its offerings though. The most interesting thing for lunch or dinner has got to be the Ploughman's Platter for two. This incredibly big meal will set you back only $19.99, but offer you the ultimate British experience. With a selection of imported English cheeses, crusty bread, greens salad, roasted tomatoes, pickles, apple & beet salad and Scottish eggs you'll truly feel like you're in the United Kingdom. The restaurant is quick service, where you order your food from a counter, but after placing your order, you and your party will be shown to your seats and given a numbered candlestick for your table. Your food is brought to you when it is ready. It's best to eat early or late to avoid the Diagon Alley crowds and not have to wait in line too long. Try to make it for lunch before noon or after 3PM for example to avoid the long waits. Unlike other restaurants at Universal Orlando, there are no Coke products or traditional soft drinks served here. Only the special Wizarding World beverages can be found at Leaky Cauldron. If you're not feeling adventurous, or are looking for a soda with your meal, you can pick up a soft drink (or refill your Coke Freestyle) at either the San Francisco Pastry Company located just outside London near the King's Cross entrance, or if coming from the other side, pick up a soda at the snack cart on the bridge between Simpsons and London. If you are feeling adventurous there are some delicious and interesting beverages available at the Leaky Cauldron. As with other locations from the Wizarding World, the Leaky Cauldron was designed by Stuart Craig, Production Designer on the Harry Potter films. The blueprints and sketches for this restaurant were well underway even before Hogsmeade initially opened next door at Islands of Adventure.